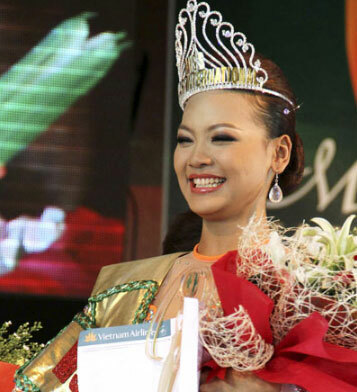 Declared as the newest tourism Ambassador for Myanmar, Nann Khin Zayar was crowned Miss Myanmar International 2012 during a pageant ceremony held at the Myanmar Convention Center (MCC) in Yangon. Swan Yee Htun, who is a model was the 1st run-up. While Aye Chan Moe positioned as the 2nd run-up. The Miss Myanmar Contest is organized by the Myanmar Tourism Services (MTS) Co., under the supervision of Myanmar Travel Board (MTB) in order to promote tourism industry in the country and enhance the interest of citizens in the tourism sector.